It's hard to believe, but Friday marks the 30th anniversary of the release of Michael Jackson's Thriller, an album that appealed to all audiences—all ages, races and nationalities—like few other recordings in music history. Jackson and producer Quincy Jones recorded and mixed the album between April and November 1982. Jones was 49 at the time. Jackson turned 24 during the sessions. The production budget was a reported $750K, which means Epic Records got a pretty good rate of return on its investment. Thriller doesn't remotely sound 30 years old. Its best cuts, including "Billie Jean" and "Wanna Be Startin' Somethin'," still sound fresh and vital. Happily, Jackson lived to see the album meet the test of time. In 2008, the album was voted into the Grammy Hall of Fame. That same year, a 25th anniversary edition became the second best-selling album in the U.S. for two weeks, a rarity for a catalog album. 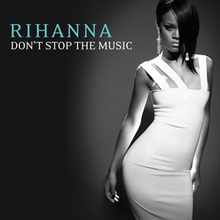 Also that year, Rihanna's "Don't Stop The Music" (which sampled "Wanna Be Startin' Somethin'") became a #3 hit, Fall Out Boy's "Beat It" (featuring John Mayer) made the top 20 and David Cook sang "Billie Jean" in route to his victory on American Idol. To mark the anniversary, here are some things you probably know about Thriller—and some you may not. You probably know: Thriller was the first album to produce seven top 10 singles on Billboard's Hot 100. 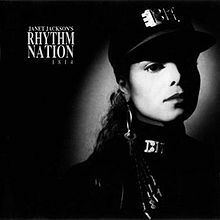 You may not know: Just two albums have since matched Thriller's record of seven top 10 hits: Bruce Springsteen's Born In The U.S.A. and Janet Jackson's Janet Jackson's Rhythm Nation 1814. Janet, who was then a 16-year old newcomer to recording, sings background vocals on "P.Y.T. (Pretty Young Thing)." You probably know: Eddie Van Halen, then 27, played the killer guitar solo on "Beat It." You may not know: The band Van Halen had not yet cracked the top 10 on the Hot 100 at that point. But within 10 months of "Beat It" hitting #1, Van Halen's "Jump" hit #1. You probably know: Thriller was Quincy Jones' second of three studio albums with Jackson. 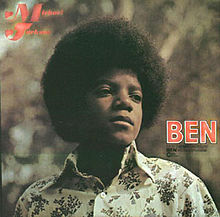 You may not know: Jones first became convinced of Jackson's star power when Jackson sang "Ben" (a love song to a rat, from the movie of the same name) on the Oscars in March 1973. Jackson was just 14 at the time. Jones first worked with Jackson in 1978 on the movie The Wiz. Jones produced the soundtrack, which spawned two Hot 100 singles: "Ease On Down The Road," Jackson's duet with Diana Ross, and his solo entry "You Can't Win (Part 1)." You probably know: Jackson won a record eight Grammys in 1984. You may not know: The old record was held by Paul Simon, who won seven Grammys for his work on Simon & Garfunkel's "Bridge Over Troubled Water" (and the album of the same name) in 1971. In the ensuing three decades, just one artist has equaled Jackson's one-night record: Santana won eight awards in 2000. 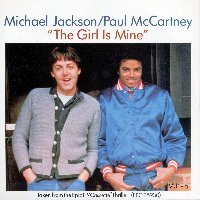 You probably know: Paul McCartney joined Jackson for the creampuff ballad "The Girl Is Mine." 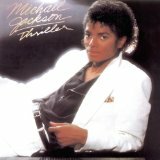 You probably know: Thriller logged 37 weeks at #1 on The Billboard 200 album chart. 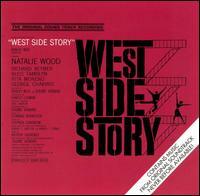 You may not know: Since 1955, just one album has had more weeks on top: the West Side Story movie soundtrack. (That classic movie had a strong influence on the "Beat It" music video.) No album released since Thriller has come close to Jackson's run at #1. Prince & the Revolution's Purple Rain and Adele's 21 came closest, each with 24 weeks on top. You probably know: Veteran actor Vincent Price performed the rap on "Thriller." 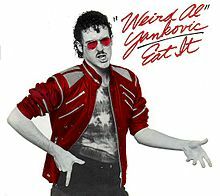 You probably know: "Weird Al" Yankovic recorded a parody of "Beat It" titled "Eat It." You may not know: The song reached #12 on the Hot 100, higher than any Yankovic hit until 2006's "White And Nerdy." It won a Grammy for Best Comedy Recording. Rick Derringer played the guitar solo, subbing for Eddie Van Halen. You probably know: Jackson felt that Thriller's predecessor, Off The Wall, hadn't received enough credit for its success. You may not know: He had a point. The album received just two Grammy nominations (and won just one: Best R&B Vocal Performance, Male for "Don't Stop Til You Get Enough"). Moreover, Jackson didn't appear on the cover of Rolling Stone during the album's long run. By contrast, he rated three Rolling Stone covers in a 13-month span during Thriller's run. Even more notably, he made the cover of TIME in March 1984. You probably know: Jackson and Diana Ross were friends. 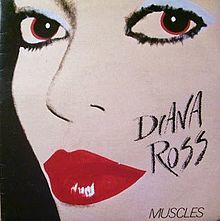 You probably know: Jones produced Donna Summer's album Donna Summer immediately before he began work on Thriller. You may not know: Many of the same songwriters and musicians worked on both albums. Jackson even turned up in the choir on "State of Independence" on Summer's album. But Summer's album didn't have anywhere near the same impact. It spawned just one top 10 hit, "Love Is In Control (Finger On The Trigger)." You probably know: Thriller has been certified by the Recording Industry Assn. of America for shipments of 29 million copies in the U.S.
You probably know: Jackson's performance of "Billie Jean" was the highlight of the 1983 TV special Motown 25: Yesterday, Today, Forever. You may not know: Jackson received an Emmy nomination for Outstanding Individual Performance In A Variety Or Music Program. (He should have won.) The show won as Outstanding Variety, Music or Comedy Program. You probably know: Thriller was Billboard's #1 album of the year for both 1983 and 1984. You may not know: It was the first album to top the year-end chart two years running since West Side Story in 1962 and 1963. Before that, the My Fair Lady and The Sound Of Music original cast albums achieved the feat. 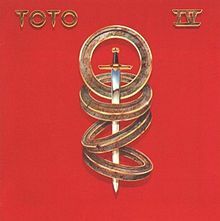 Incidentally, Adele's 21 will soon join this little club. 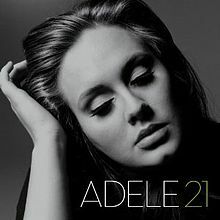 It was Billboard's #1 album of 2011 and will be the #1 album of 2012. You probably know: Jackson came very close to landing back-to-back #1 hits on the Hot 100 with "Billie Jean" and "Beat It." 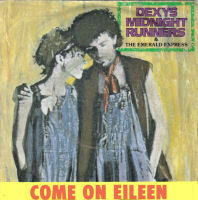 You may not know: Dexys Midnight Runners' "Come On Eileen" prevented this rare chart feat from happening. 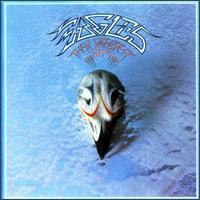 The song snuck into the #1 spot for one week in April 1983. (The English group never returned to the top 40.) But for that one song, Jackson would have spent 11 consecutive weeks in the #1 spot. You probably know: Jackson was very involved in the creation of the tracks. You may not know: Jackson wrote (all by himself) the first four singles released from the album: "The Girl Is Mine," "Billie Jean," "Beat It" and "Wanna Be Startin' Somethin'." He co-produced three of these tracks (all except "The Girl Is Mine"). He also worked on the arrangements on all four. You probably know: Jones and Jackson used top studio pros on the album. You probably know: Rod Temperton wrote three songs on Thriller, including the hit title song. You probably know: Jackson's eight Grammys in February 1984 weren't all for his work on Thriller. 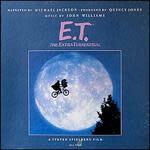 You may not know: One was for E.T.—The Extra Terrestrial, which was voted Best Recording For Children. Steven Spielberg's movie, which had the same universality as Thriller, was released six months before Thriller. You probably know: Jackson was close to his mom. You may not know: The liner notes include this touching declaration: "This album is lovingly dedicated to Katherine Jackson."